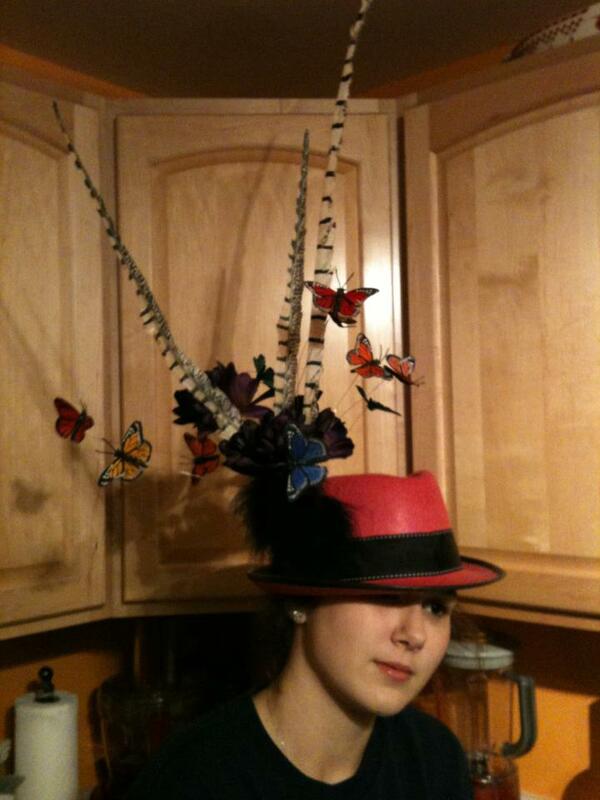 Ava decided to be Lady Gaga for Halloween this year. At least when she’s not a zombie bride, of course. 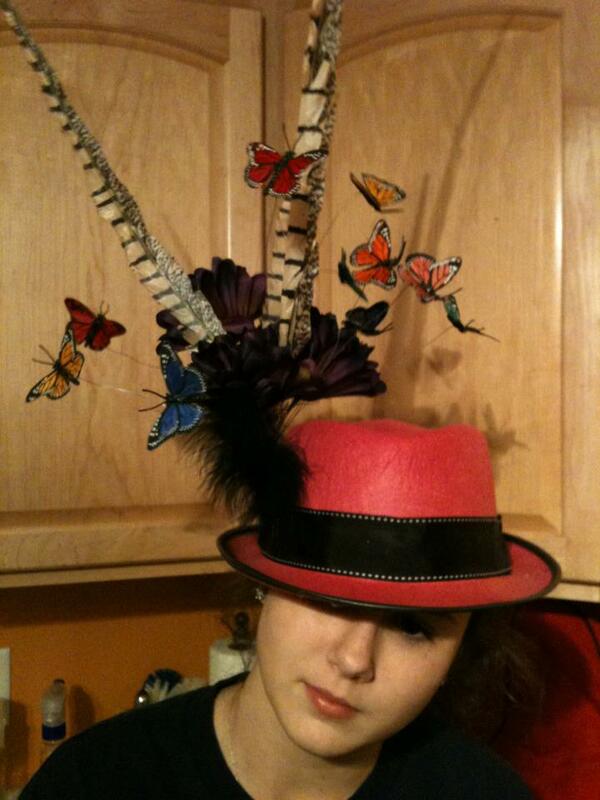 This hat was inspired by Gaga-ness and a sequenced butterfly top rescued from Grammy’s 1980’s wardrobe.